In today’s world e-commerce business is rising at an unprecedented pace, while the brick and mortar shops are losing their charisma. One of the most significant reason is ease of shopping and time efficiency. We understand the expectation of online shoppers and inculcate these effectively in our ecommerce development. 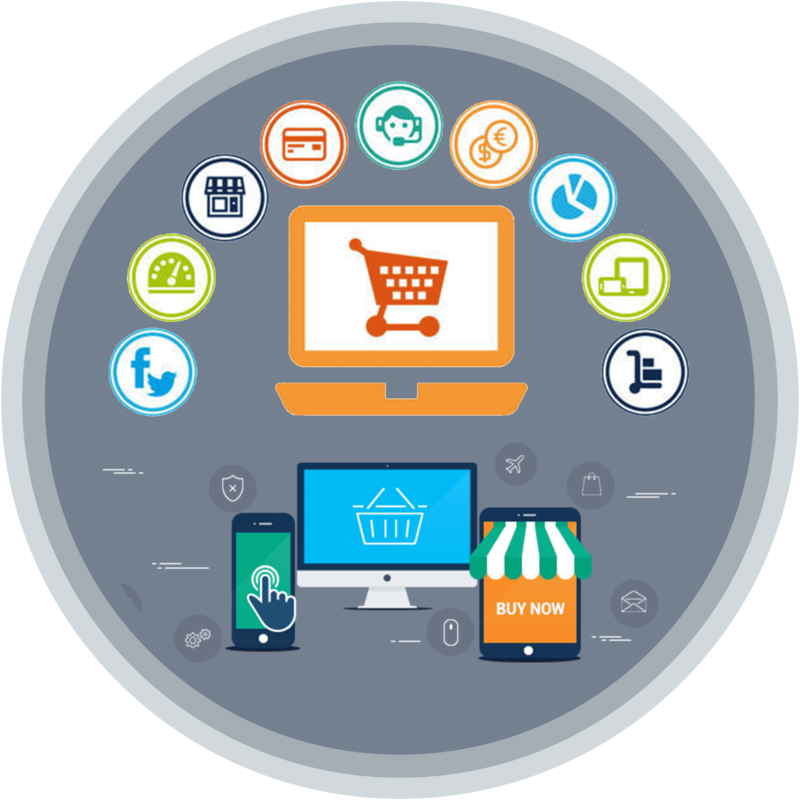 When we undertake ecommerce development, we majorly focus on developing solutions that can optimize online sales for our clients while helping them to gain new customers. By incorporating features like unlimited products and categories to one page secure checkout, we focus on making online shopping an easy and pleasant experience for customers. Some of the features to enrich your e-commerce websites. A wide range of payment gateways, debit & credit cards. Google checkout integration, and PayPal integration. Product promotion management and marketing features. The best e-commerce solutions that we provide are integrated with efficient e-commerce shopping cart, attractive & engaging web designs, secure payment gateways and SEO features. Our experienced team of experts are quite efficient and keep themselves abreast of the current trends in the industry. They develop bespoke solutions that perfectly fit your requisites and specifications.